Applications are now open for 2018 Haywood County Schools Foundation faculty grants. This year, grants are sponsored by Duke Energy, Evergreen Packaging, First Citizens Banks, QuickDraw, the Arc of Haywood County, and the Haywood County Schools Foundation. The grants fund resources for teachers and staff to enrich the learning experience for students. Applications must be submitted electronically at www.hcsf.haywood.k12.nc.us before October 1, 2018. Teachers applying for multiple grants must submit an application for each grant. Applications for the Arc of Haywood County grants have already been emailed to exceptional children (EC) teachers. Winners will be selected after committees representing each grant review applications. 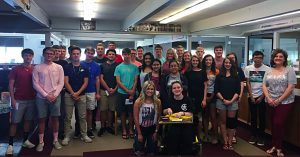 Teachers who won grants will be invited to a Grant Recipient Reception at Tuscola High School on November 13. Each grant sponsor has different requirements and focuses of study. The QuickDraw art grant provides funds for art teachers to purchase materials for art education projects. 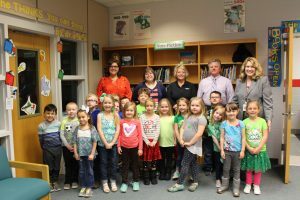 The First Citizens Bank grant provides funding to schools and teachers for reading initiatives. The Evergreen Packaging grant focuses on projects that promote math and science. The Duke Energy grant is for projects in the areas of science, technology, engineering and mathematics. 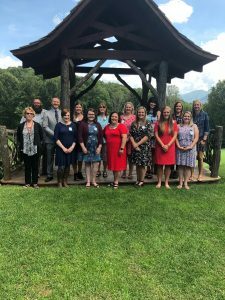 Professional growth and development are the focus of the Haywood County Schools Foundation grant and is available to teachers, faculty, and staff. 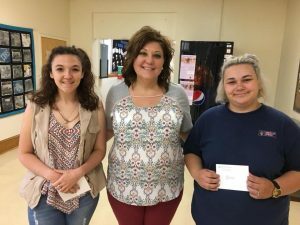 Funding for the professional development grants is raised through Haywood County Schools Foundation fundraisers like the Mardi Gras Ball and bingo. 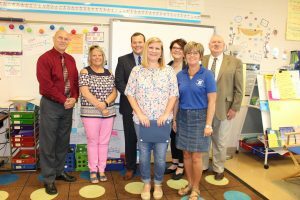 The Arc of Haywood County provides grants to Haywood County Schools’ EC teachers. 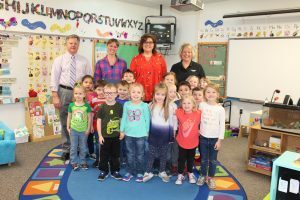 Last year, the Haywood County Schools Foundation gave 160 grants to teachers totaling $38,877. For more information, contact Haywood County Schools Foundation Executive Director Jenny Wood Valliere at jwood@haywood.k12.nc.us or call 828-456-2400. 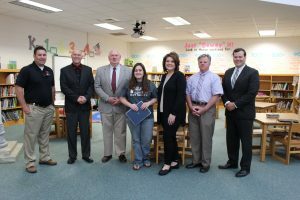 The Haywood County Schools Foundation recognized Bethel Elementary School teacher Meredith Allen and Bethel Middle School teacher Ron Hundley with Excellence in Education awards for the month of May. 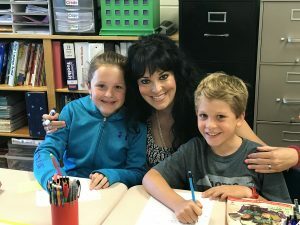 Third grade teacher Meredith Allen is currently finishing up her fifth year of teaching at Bethel Elementary School. 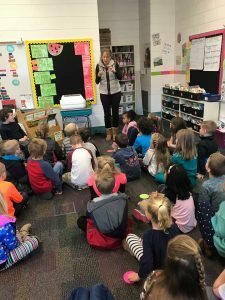 At any given time, Allen is teaching her third graders about everything from current events to how to write reports to multiplication. Allen said her main goal as a teacher is to design learning tasks that encourage students to develop independence and responsibility. Like many teachers, Allen says she cannot imagine doing anything else. For the past 21 years, Ron Hundley has been teaching Haywood County Schools’ middle school students. He taught at Waynesville Middle School for 15 years and has been teaching at Bethel Middle School for the past six years. Hundley currently teaches eighth grade math. His lesson plans cover linear functions and the Pythagorean Theory, but Hundley says he teaches much more than that. When Hundley is not in the classroom, he is most likely in the gym or on the field coaching sports. He coached soccer at Waynesville Middle for 13 years and has been a basketball coach at Bethel Middle for four years. 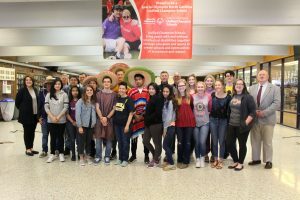 While many might think spending that much time with middle school students would be difficult, Hundley said that he enjoys the interactions he has with his eighth graders. 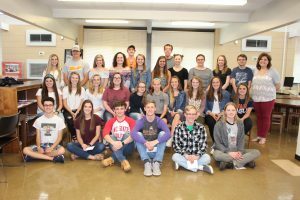 The Waynesville Gallery Association recently collected art supplies for Haywood County Schools’ art teachers as part of its Winter Arts Smokies Style festivities. The entire event was organized by the Waynesville Gallery Association, which supports the rich cultural heritage of Western North Carolina by creating opportunities for artists to interact with the public. Artists and community members donated everything from crayons to oil paints to yarn for the supply drive during the month of March. Members of the Waynesville Gallery Association include Cedar Hill Studio, Art by Mollie, Mountain Favors, Twigs and Leaves Gallery, Moose Crossing Burl Wood Gallery, the Haywood County Arts Council, Earthworks Gallery, the Jeweler’s Work Bench, T. Pennington Art Gallery, and Village Framer. The art supply drive also received support from other shops on Main Street, Goblin Lane Gifts, and Joe Rich Kelly. 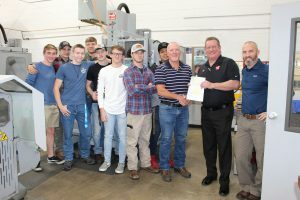 For the third year in a row, Pisgah High School’s machining program received a $10,000 grant from the Gene Haas Foundation. 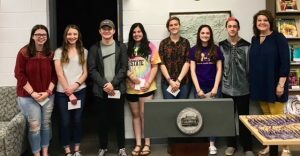 The grant will be used to provide scholarships to Pisgah seniors who plan to major in a manufacturing or engineering related field in college. Students are eligible to receive up to a $2,000 scholarship. The Gene Haas Foundation was established in 1999 by Gene Haas, the owner of Haas Automation, Inc. Haas Automation is a billion-dollar company and is America’s leading builder of CNC machine tools. The Foundation is focused on giving scholarships to students who are pursuing CNC machinist training. Kip Asmuth, a sales engineer with Phillips, presented Singleton with the $10,000 check. Phillips is the Southeast’s sole distributer of Haas equipment. Lance Shallenberger, a senior in Singleton’s machining level III class, filled out a scholarship application and is hoping to benefit from the Haas Foundation donation. He will be attending Western Carolina University this fall to major in engineering technology. Shallenberger, an avid outdoorsman, hopes to one day work for a mountain bike company as an engineer. The training that students, like Shallenberger, receive in Pisgah’s machining program is meant to set themselves, as well as companies and the local economy, up for success. According to a recent report from the Manufacturing Institute, the skills gap in the U.S. manufacturing industry is expected to result in two million jobs going unfilled over the next decade. Factors contributing to the shortage of skilled workforce include baby boomer retirements, economic expansion, loss of embedded knowledge due to movement of experienced workers, a negative image of the manufacturing industry among younger generations, lack of STEM skills among workers, and a gradual decline of technical education programs in public high schools. 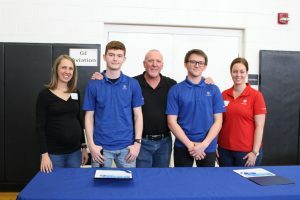 At Pisgah’s career fair in March, many manufacturing companies in the surrounding areas reported that they had the difficult task of hiring highly-skilled workers to build in-demand products. “Our machining program is working to build a pipeline of qualified and dedicated young workers who are excited about manufacturing and eager to launch a successful career,” Singleton said.